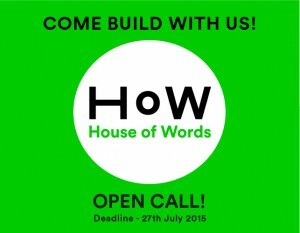 GIBCA and Public Art Agency Sweden are looking for volunteers to help build House of Words (HoW) a temporary pavilion directly attached to Röda Sten Konsthall. HoW will be a part of Göteborg International Biennial for Contemporary Art (GIBCA) and will function as its central, social meeting place. Don’t miss this opportunity to create a unique building, together with one of Spain’s foremost rebellious architect, Santiago Cirugeda! 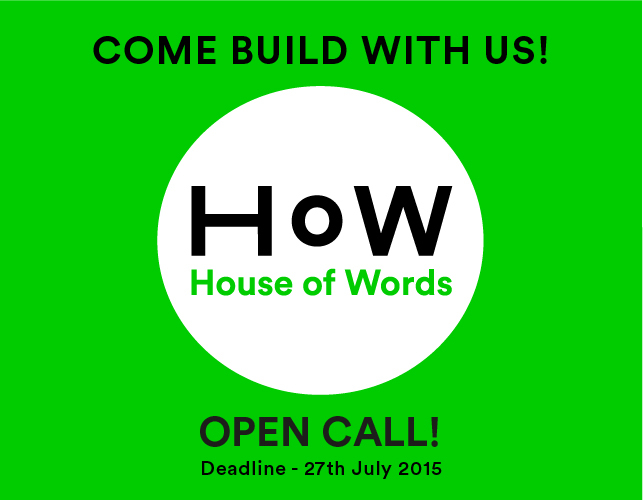 Everyone is welcome to join – no previous experience is necessary. Read more and sign up here! A pavilion – an architectural structure – that is designed by architect and activist Santiago Cirugeda and is built through a collective process with a diverse range of participants. A participatory function – all who visit HoW will be encouraged to interact with and influence the project, based on a concept produced by artist Loulou Cherinet. A participatory program will engage citizens in a dialogue about the city of Gothenburg’s visible and invisible borders. The concept behind HoW refers to a type of traditional meeting place called “la Casa de la Palabra” which is commonly found in many African societies. The participatory program’s core will be the exchange of micro-histories – experiences, themes and stories that are usually overlooked in the established historiography. It will build a connection between Gothenburg’s inner city and its outer suburbs, as well as connect Sweden with rest of the world, allowing for a diversity of voices and perspectives to contribute toward a practical history-making.